For Dostoevsky, Fyodor Ivanovich Tyutchev (1803-1873) was equal to Pushkin as a "poet-philosopher." And Tolstoy once said that "no one should live without Tyutchev." The Slavophil Alexei Khomiakov argued that Tyutchev was the first Russian author who saw the differences between Russia and the West through the prism of religion. Ivan Aksakov, the 19th century Russian intellectual (and Tyutchev's son-of-law), believed that in Tyutchev's political letters, Europe heard for the first time the "strong and masculine voice of the Russian public opinion." Tyutchev, who spent almost half of his life in Germany as a diplomat and was married first to a German countess, then, after her death, to a German baroness, was a veritable Russian patriot; he loved Russia and believed in her cultural and spiritual superiority. In his political essays, he fiercely opposed the European critics of the Russian absolutism and skillfully argued against the "Russophobic demagoguery" of the Western intellectuals and politicians. Being a poet, Tyutchev had an intuition for the spiritual currents of his time and warned his compatriots about the threat coming from the "revolutionary and atheistic West". History proved that his concerns were legitimate. In the 20th century, Russia was defeated and transformed from within with the power of ideas that were not her own: first was the fall of monarchy, whose legitimacy was gradually undermined by the influence of Western liberalism, then the communist revolution, fueled by Marxist and anarchist dreams. Tyutchev was a passionate "apologist" of the Russian moral exceptionalism, although he did not want to be depicted as such. In one of his essays, written in French in response to an unfavorable to Russia article published in Allgemeine Zeitung, the diplomat-poet exclaimed: "Apology of Russia!...My God...The true defender of Russia is history that in the course of three centuries resolves all litigations," in which the Russian people had "plunged. "1 In another letter to the editor, entitled Zapiska (A Note),2 Tyutchev expressed his indignation from the claim, published in the same German newspaper, that "Russia occupies a great place in the world, yet it is only a material power, and nothing more. "3 Namely the Western perceptions and arguments about the Russian cultural and spiritual inferiority led Tyutchev to an open and public engagement with questions of international politics and culture. He was not able to endure the moral and intellectual pride of the West that he sensed as a foreigner living in Munich. And the Russians, on the other hand, were not able to resist his message, feeling equally foreign in character and way of life to their European neighbors. But Tyutchev was not a political theorist. He had always been a poet, and the inexactitude, the passion, and the metaphor had always dominated his thinking and expression. His political writings were full of emotion and sometimes self-contradictory. His logic was attractive and adequate but only from the Russian point of view. It could not be taken lightly in the West and he never became popular with his political writings beyond the borders of Russia. The language and the skill he used to present his ideas and to impose his views were more than impressive, yet this was the language and the skill of a poet, never of a historian, and certainly not of a professional diplomat. 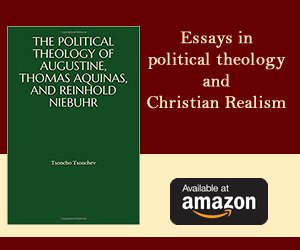 In Tyutchev's political letters, one finds the Old Testament prophet and the lay theologian, the national apologist and the political visionary. The work of the great men of arts is always a reflection of the epoch and the historical environment in which they live. Tyutchev, as one of the "great troyka" of Russian poets—Pushkin and Lermontov are the other two—was not an exception. His poetry and essays reflected the soul and the feelings of his countrymen. Tyutchev wrote in the beginning of an epoch of a religious and national awakening for the Russian people. This was the epoch of the 18th and 19th century "feudal" Russia that was both deeply impressed and deeply repulsed by the European Enlightenment and by the democratic revolutions in the West. Witnessing the political and spiritual dynamics on the European continent, the 18th and the 19th century Russia felt excluded from the flow of history and, at the same time, saved from its turbulences. The revolutions and the intellectual boiling of Europe were both a curse and a blessing for the cultural and political development of the Christian Orthodox Empire. It was a curse because it forced Russia to re-consider her place in the world, and so burdened her with doubts for her own capacities and national character; and a blessing because it pushed her to develop a national self-consciousness through the incitement of internal political, social, and intellectual debates that would eventually result in her becoming of a center of a thriving culture and military power, moved by messianic hopes. The accelerated in Europe formation of national identities and new forms of governance compelled and helped the 19th century Russians to define themselves as a sovereign nation and unique "civilization." In this process of self-determination vis-a-vis Europe, the intellectual life of Russia was divided, generally speaking, into two opposing ideological camps: the Slavophils who insisted on the exceptionality and superiority of Russia, and the Westernizers, the "pro-Western" liberals, who lamented the autocracy and the backwardness of the Russian society. Tyutchev belonged to the Slavophil camp. He never idealized the West and never criticised, at least not openly, the Tsar.4 His criticism was directed against Europe and his goal was to awake the Russians for self-respect and dignity. Tyutchev argued that both the Europeans and the Russians were ignorant about the political and spiritual significance of the East and of Russia as its "soul" and "moving power. "5 The West, he believed, was shaped for centuries by errors, egoism, and greed. For the Western nations, there was only one Europe—the Western Europe.6 But there had always been another Europe, he argued, the Slavic East with Russia as its spiritual center. In Zapiska, he appealed to his Western readers to rediscover Russia as the forgotten Eastern Empire—the still living and legitimate successor of the old Christian "Caesar." The Russian Tsar, he argued, in contrast to the divided and troubled by revolutions Western monarchs, was the only sovereign left on earth, bearing its "own principle of power," sanctioned and approved only by the ancient Eastern Church, the precious remnant of the Apostolic Church and the keeper of the ancient Christian traditions. If the Russian tsar was the still living representative of the Christian Roman emperor, the Eastern Church, for Tyutchev, was the living Universal Church that the Latin West betrayed centuries ago with the institution of papacy and the schism. In Tyutchev's vision, Russia was the metaphysical history. It was the history in its wholeness, where the beginning and the end are already here—revealed. She was the keeper of the Christian rupture of the world history. Whatever happens in history after this rupture was just a confirmation of what had already happened. The West, through its godlessness, was defeated within history. It seems that in Tyutchev's mind the West was the representative of the lie in history. As many of his Russian contemporaries, moral relativism and the sense for complexity were not part of his ways of thinking and interpretation. On the contrary, he judged the world in radically dualistic terms. His worldview was not so much an example of Hegelianism, but rather of a modern form of Manichaeism, peculiar and necessary for the formation of the national sense. In the nationalistic ideology, there is necessarily a conflict between "us" and "them," it is the politics in the Schmittean sense, not in the Hegelian, in which the inclusive, synthetic element dominates the exclusive. Tyutchev's patriotic thinking was built upon the underlying conviction that there was a massive conflict between truth and untruth, good and evil. His Manichean dualism was represented in his idea of the fight between the two opposites: Russia, the good, and the West, the evil; Russia, the truth and the tradition, and the West, the lie and the progressive corruption. He believed that history was created in this conflict; he was convinced that the struggle will grow stronger, will "flare up. "8 But there was, as we have said, a difference between history and history. There was a history as a conflict in time between good and evil, truth and lie, eternal and temporal, a conflict that will intensify and lead to apocalypse, and there was another, eschatological history that was good without evil, that was truth without lie, and that was eternal without the temporal. 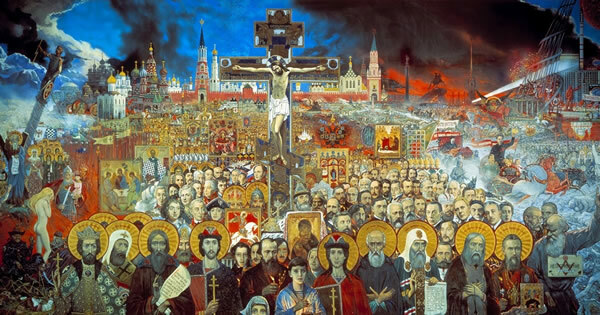 Despite being involved in the temporal conflict between good and evil, Russia was the manifestation of the eschatological history. Tyutchev believed that Rome had led half of Europe into "heresy," and the heresy, in turn, led the West to "atheism." He was convinced that Rome rebelled against the Universal Church, and her rebellion led others to rebel against her. This was, for him, a punishment from God. The divisions within the Western Church were divisions among heretics. As the "dead flies make the perfumer’s ointment give off a stench," (Eccl. 10:1) so the sanctity of truth was corrupted by the errors of the Latin Church. Nobody argues against the right of Rome, Tyutchev wrote, it had always been the "root of the Western world. "11 But this root was a "bitter" one. It gave rise to the political problems of Europe; instead to spiritually unite the people, it caused disunity, national divisions, and political instability.12 Its corrupting power had reached Eastern Europe as well; it began to destroy the Slavic people, undermining the "moral spirit" of Poland.13 But Russia, Tyutchev believed, had prevented Rome's advance and corrupting effect. Russia was capable to do so, because she was united, there was no weakness in her: the Caesar and the Church were one. "In Catholicism," he said, "is contained the whole power of papacy, as in papacy is contained the whole weakness of Catholicism. "14 And concluded: "Power without weakness is only possible in the Universal Church." The destruction of the principle of authority, according to Tyutchev, was in essence the rebellion of the "I". It was the human egoism unleashed. And it had created its own ideological narrative: the ideology of "human rights. "20 The 1789 French Revolution, Tyutchev believed, will be remembered by the future generations because it put the "anti-Christian ideas" on the "throne of state governance." Its fundamental "dogma," he said, was the "sovereign power of the people." But what was the sovereignty of the people, he asked, if not the "dominance of the human 'I' multiplied" and clothed in power. The Revolution revealed its true nature and attitude to Christianity in the principle of neutrality that stated: "The State as such has no religion." This meant that the state should not have a "soul," that it should be a godless mechanism. Religious "neutrality" also meant, according to Tyuchev, "impartiality," or justice, without Christianity. In the "neutral" state, one should abandon his Christian conscience and accept the mechanical justice of the "impartial" legalistic rule. This, according to Tyutchev, was a rejection of any "aspiration" to "moral authority,"21 it was also, in effect, a rejection of religious freedom. Thus, the Western State had taken the role of a policeman and of nothing more, emptying itself of any "moral idea." But this was another paradox and a lie, because the neutral state had, in fact, a religion, and this religion was, as it has been noted, the nihilism, the "religion of revolution." The "policeman" then defended nothing but the post-revolutionary status quo that legitimized the individual greed and the will to power, both hidden behind the idea of popular sovereignty. In his essay Russia and the Revolution, Tyutchev returns to his Manichaean, or, if you like, "prophetic" dualistic views of straightforward and uncompromising judgement. In it, he argued that there are now "two actual powers in Europe": "Revolution and Russia. "22 No "agreement and contracts" were possible between them. The life of the one meant the death of the other. The entire political and religious future of humanity, he believed, depended on the result of this struggle. He asked, What is the greatest difference between Russia and Revolution? "Above all, Russia is a Christian state," he explained, and the Russian people are Christians capable of "self-sacrifice" and "self-denial." Egoism and individualism were not traits of their national character. Self-sacrifice was rooted in the moral nature of the Russian people. The Revolution, in contrast, was not about self-sacrifice. It was about self-assertion. It was about neutrality and atheism. It was against Christianity. Tyutchev was convinced that the Revolution was an enemy of Christianity, having the spirit of anti-Christ. In the Revolution, he repeated in this essay, the human "I" depends on itself and do not admit other law except its own will. The self-sufficient "I" replaces God. This was a form of unity, a monism, but of a special kind. It was not the unity and self-dependence of the two mutually supportive principles of authority in Russia: the Caesar and the Church. The rebellious egoism was not a new phenomenon, Tyutchev noted. Human egoism and greed were part of the sinful human nature. The new, he argued, was that with the Revolution, the "I" had found an expression in the "political and social right." The "I," the nihilistic individualism, tried to present itself as a right and to impose its individual right on the entire world. This "innovation," Tyutchev insisted, was brought out by the 1789 Revolution in France. Political revolutions and secularism were the empty shells of corrupted religious feeling. For Tyutchev, political secularism was ossification of the spirit and transformation of the social and political life into a dead, mechanical legalism. It parasitized on religious ideas, took over their "language," emptied this language of its original meaning, and filled the void with abstract ideas and norms that aimed to hide deeper motivations such as the will to power. So, the Revolution, according to Tyutchev, copied the Christian slogan of "brotherhood" and even tried to convince the world that the French republic was created in order to "realize the Evangelical law" on earth.23 But what was this "brotherhood" that was not animated by the Christian spirit of humility and self-denial? How brotherhood did arise from the spirit of "pride and exaltation"? The Revolution had a "narcotic" effect; the exaltation could not be limited or managed with "constitutional incantations." Its nihilistic spirit and terrible energy could not be curbed by abstract legal formulas. The Revolution, and the West, had no defence against their own self-destructive forces. And Tyutchev believed that on their path to destruction they could face resistance, and salvation, only by one, untouched by their madness, monarchy—the Russian Tsardom. In a moment of apocalyptic vision, he predicted, that the Revolution will begin a "crusade" against Russia.24 In this, history proved him right and wrong: for a century, Russia and the Russian "idea" was attacked and defeated by the revolutionary crusaders. You weren't a czar, but hypocrite.